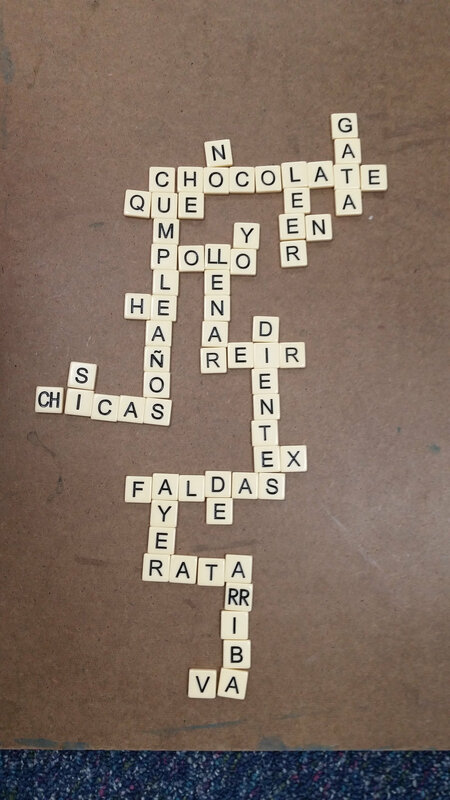 Upper Elementary and Middle School students have been diligently making progress on final projects in Spanish class. Many Upper Elementary students have created board games or card games to play with their friends during the final weeks of school. 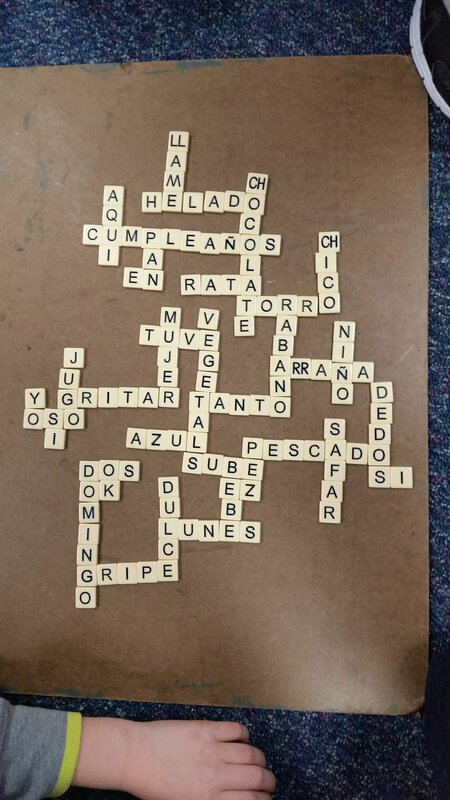 In class, they have been busy playing word games such as Spot It and Bananagrams, both in Spanish, as fun ways to reinforce vocabulary and get students into game-playing mode. Upper Elementary students will present their projects to the entire class next week. Students will have the final week of school to enjoy playing each other’s games. Middle School students are working hard to complete their bilingual (and one trilingual) books in time for publication and sharing with their Lower and Upper School friends before the end of the school year. Students conducted targeted focus groups with their intended audience to elicit comments that they have thoughtfully incorporated into their finished work. Students will learn how to glue-bind their books as the final production step in this joint unit with Ms. Sarah and Ms. Rose.